Tim DeLaughter of The Polyphonic Spree performing at the Dallas Museum of Art on June 17, 2011. They have shared the polyphonic photo shared on the site so that can be know that and enjoy it in this photo. It is very enjoyable and interesting photo shared. 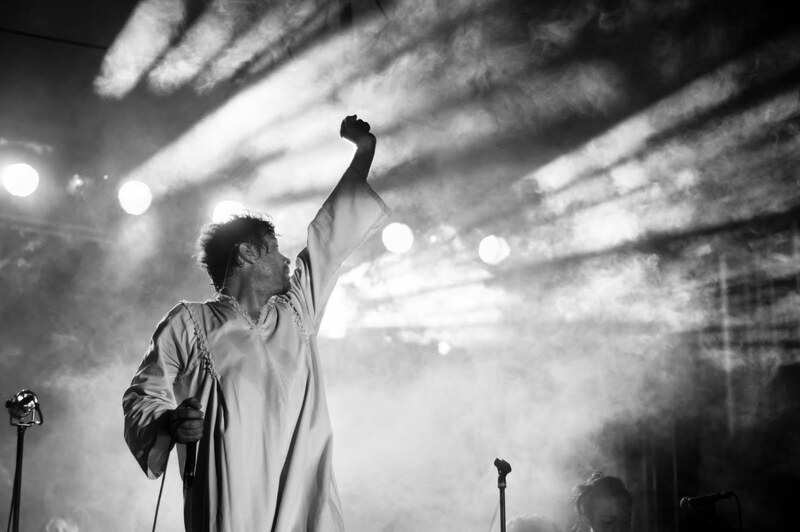 Astounding pic of polyphonic spree, his concerts are always enjoyed by the mob, the pic is really amazing. Concert was very amazing and the information presented in the blog is very new and the entire information is been presented in the blog with the photograph of the lead singer. Even the blog contains other photos of the concert. That was really an amazing show with great music and atmosphere. It can be clearly seen through the photograph that what was the atmosphere of that show. Really excellent information.